When a teenager realizes they have an addiction and acknowledges that addiction, they have started their recovery; Liahona Academy is proficient in helping troubled teens avoid relapse. Addicts are fighting the desire to use each and every day and without help in understanding their triggers, these troubled boys are in danger of relapsing. Liahona Academy is here to provide that help, call 800-675-8101 today for more information. • Commit: Have your son write a letter to himself describing all the benefits of leading a sober life and why he wants to stay clean. He can revert back to this letter when he feels the urge to use. • Support: Having a group of people that understand addiction and support your son’s recovery is vital. He needs to know and see that he is not alone. • Stay Active: Your son should always stay busy. Whether he is working, going to school, doing physical activities, or any other activity staying busy will keep his mind focused. • Volunteer: By donating his time to help others or for a good cause, your son will feel a sense of self-worth and that he is needed. • Set Goals: Setting goals and milestones will give your son something to look forward to and when he achieves those goals and reaches those milestones he will feel a sense of accomplishment. • Rewards: Each and every 24 hours of sobriety is a milestone, staying sober is a challenge he will face everyday. By receiving a reward for lengths of clean time, your son will see that sobriety is worth it; now and in the future. Liahona Academy is an in-patient residential treatment center where troubled teenage boys can find the help they need to overcome and understand the problems and issues they are facing. Through the programs at Liahona Academy such as traditional therapy and recreational therapy (hands-on recovery), your son will learn what triggers him to use and will come to understand the triggers and how to deal with them in a healthy way. Along with therapy, your son will be enrolled in an unsurpassed academics program that will help him recover his education career. Liahona Academy offers many more programs of recovery to help your son heal in every area of life. We strongly recommend Liahona Academy; the professional staff will provide your son with a safe, therapeutic environment vital to recovery. 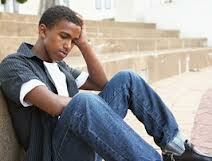 Helping troubled teens avoid relapse is an important aspect of the recovery process and there is help available. The road of long-term sobriety begins with a phone call. Call Liahona Academy today; 800-675-8101.